Bicycle Playing Cards: Bicycle Silver Edition Playing Cards at Kardwell International, Inc. These Silver Edition Bicycle Playing Cards are the perfect addition to anyones playing card collection. 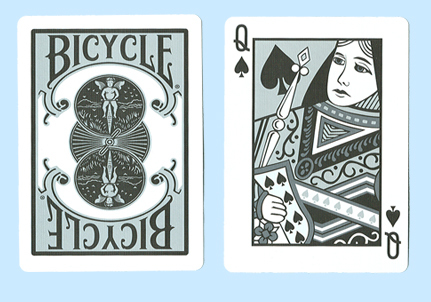 Silver Edition Bicycle Playing Cards come in poker size, regular index. Sale Price: $0.99 Was $3.95. Save 75%!